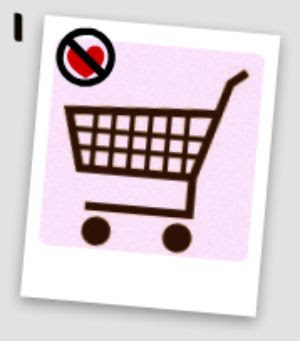 First, I need to clarify that I have nothing against shopping carts. My rant is about shopping. Actually I take that back. I also have a few bad things to say about those gigantic shopping carts that have those plastic cars in the front. The ones that are impossible to maneuver but you must use anyway unless you want to deal with a screaming child for the next 40 minutes. You know which ones I'm talking about right? Yesterday I had the worst grocery shopping experience of my life. The fact that I had a fever all day and felt like I had been run over by a truck means that even if I had gone to an empty super market with a million dollar shopping spree the experience would of still probably been bad. However, the fact that I waited 15 minutes for a parking spot to only find out a second after I pulled in that it was a handicap spot and had to circle the lot for an additional 20 minutes made the whole experience, that was already doomed to be bad, exceptionally horrible. After parking the car in the farthest corner of the lot (the one I never even knew existed) I reached back to grab my son from the car seat. The little bugger was asleep and I have NEVER been so tempted to just leave him asleep. I woke him up, of course, and regret it immediately when he started crying and his nose started to bleed. Not only was his face totally covered in mucus and blood but his pants were wet with pee (yes husband you DID forget to change his diaper before picking me up from class) and of course he was barefoot. I'm sure he felt just as up as I did to go shopping being wet, bloody, and having his toes freezing while we walked from the car to super market. To make it up to him I did buy him the Gorilla cereal he wanted AND I let him eat it for dinner. I pretended that it was a special treat because he had put up with my insane idea to go grocery shopping. The truth is I was way to tiered at that point to even think about making dinner, much less put the groceries away. I left that for the husband (remember the wet diaper and no shoes) to do. shopping, shopping, shopping....do you have a tale to tell? Funny post! (I'm not laughing *at* you, I'm laughing *with* you!) Some days just seem to go like this don't they? And it's always hubby's fault. Hah! Oh what a day!!! 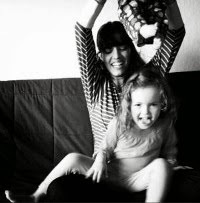 This is one of those experiences that, even if we don't have the same exact one to tell, I think all mothers have one similar...Someday you just hope you can laugh about it! I really really really hate grocery shopping too. The one time that I decided not to buy Gio the 50 cent lollipop from right next to the cash register he screamed all the way out of the store and for 30 minutes after we got home. Poor you. I'm so glad that A) Amaya doesn't need shoes and B) that the grocery store is so close I don't need to find a parking space. I do hate hate hate taking her shopping though. It feels kind of like a marathon for some reason. Oh no! I hope you and baby have a better day tomorrow! Shopping with kids is NOT FUN! That's why I always go in the middle of the night when they're asleep and can stay with Daddy at home...I know...I'm insane, but it works! I'm going to have to agree with Cecilia. I don't go grocery shopping with Chris anymore. Specially if I'm going to Tartget. I don't know what is wrong with that store (since I love Target), but Chris hates it. He cries from the moment we arrive to the moment we leave. I do the same thing Cecilia does. It is a pain because it is at night, but still better than a 1 hour tantrum. that sounds terrible! yeesh. no i don't have a story. i do not have any children, eh but, i think if they had had those carts with the car on front 20 years ago, i would have been such a very very happy child!! hehe. Poor boy! I bet the cereal made up for it and he forgot all about it. I actually do enjoy food shopping, but remember with small kids how hard it was. The worst would be when I was ready to check out and the baby would start crying because it was time to eat or she was tired. There were times I just wanted to leave my cart full of food and walk out of the store. thanks for the sympathy everyone. I am feeling tons better. So much so that today I ventured to go to toys R us with him (I know, CRAZY) and it turned out to be super pleasant. amen, shopping is the worsy with kids. do you guys have a trader joe's? we have one down the street from where we live and i am so happy to shop there again! my personal faves are their curry sauces, i will post about them soon i am sure! and coming to your neck of the woods is on our list of things to do this year for sure. your waves might be better, but the water is sooooo cold. summer weekend trip for sure! My Absolute Worst Shopping Day ever was the day that I went shopping with 7 children in tow, which wasn't unusual, but I remember having a Cart full to overflowing, which I was trying to push with one hand, while holding a crying baby. Finally, we find a decent line and I start unloading our cart, while trying to soothe the baby, who is now screaming for her next meal, and trying to keep a constant watch on ther other children. It wasn't until after I had unloaded ALL of my groceries and discerned that people behind me were whispering that I noticed that it was a 20 items or less express lane!!!!! Well, it was too late now, so totally humiliated, I just held my head up high and continued with the check out process. Boy, was I glad to get out of that store!!!! !